A new month means a new FREE card kit and product giveaway and I thought to celebrate the early release of the Carols of Christmas Bundle I’d use it for this month’s FREE kit. You’ll receive a card kit when you shop with me and use the current month’s Host Code: QKG4CVRA (no minimum purchase required) as well as FREE product whenever you spend $90+ and use the current Host Code. The Whisper White layer will have the tree outlines die cut for you and will come with one Dazzling Diamonds glimmer tree and one plain to add in front. My plain tree is adhered flat, but the glimmer one is popped up to add some texture to this simple design. A single die cut deer in Soft Suede completes the scene and was also popped up between the trees. Card Front Builder Thinlits Christmas Pines Color Theory DSP FREE Kit Karen Robinson - Stampin' Up! 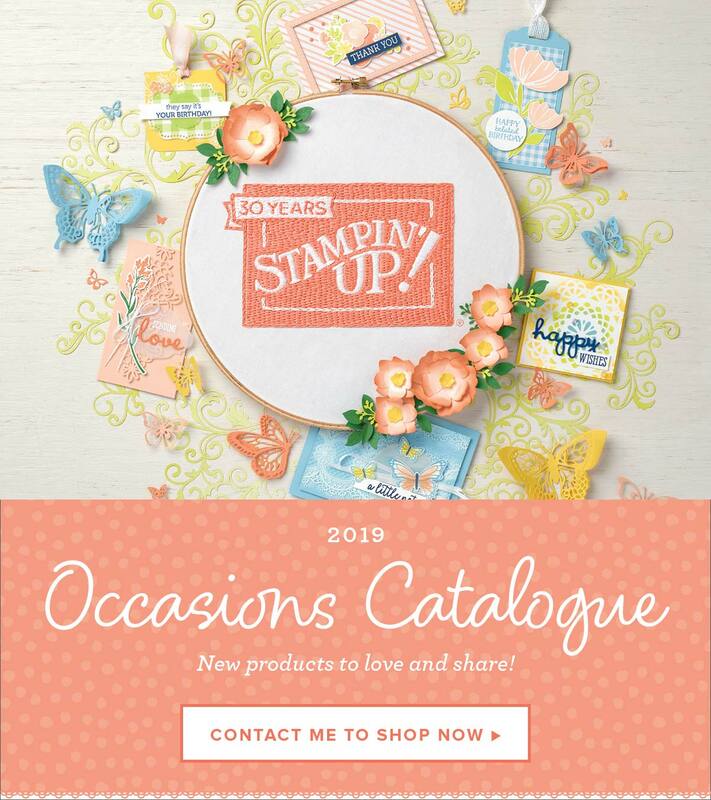 Demonstrator Australia Stampin' Up! Previous Post Christmas starts today!! Next Post Father’s Day fun – milk carton yum!